IJ-6, the Sixth Conference on Innovation Journalism took place at Stanford University 18-20 May 2009. The conference materials have since then been available on the conference website. 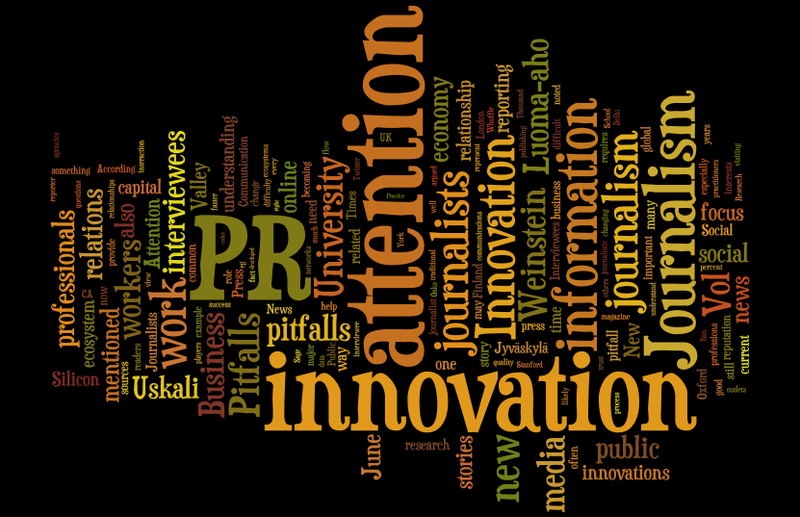 They can as from now also be referred to through the Innovation Journalism Publication Series. 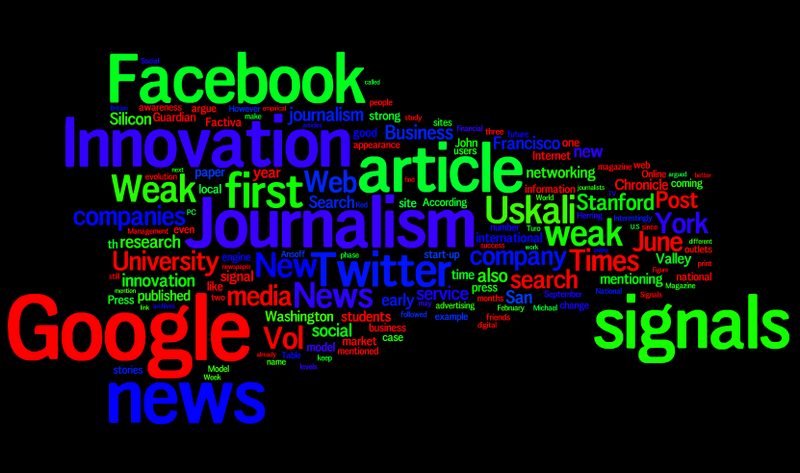 Artificial Intelligence (AI) algorithms are changing professional journalism and related academic research dramatically. 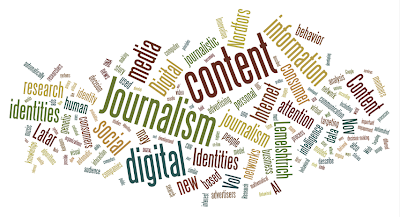 AI is penetrating journalism’s pillars: content (through automatic content analysis in all formats), and advertising (by scientific measurement of real consumer attention and targeting ads per user personality). Both content and advertising will change significantly. 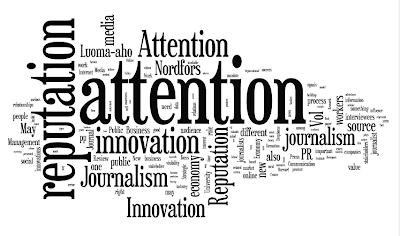 The interactive nature of the new media will permit, for the first time, accurate measurement of the real attention consumers of media give to journalistic content, employing scientific methods. Advertisers will demand full validation of consumer ratings. Existing measuring methods will vanish. Advertisers ROI (Return On Investment) will determine the fate of advertising funded journalism companies across all media formats. New ways to measure consumer attention and behavior, such as ‘engagement’ and ‘behavioral targeting,’ are becoming the new buzzwords describing deeper consumer involvement with content across multiple personal dimensions. New AI algorithms are being created that will allow automatically deciphering and tagging content to enable search engines to seek new, practical knowledge. Video, audio, images and texts are being converted to mathematical formulations that lend themselves to automatic ‘knowledge discovery analysis’ without human intervention. AI engines will be used by media companies to search customers for content interests, automatically. 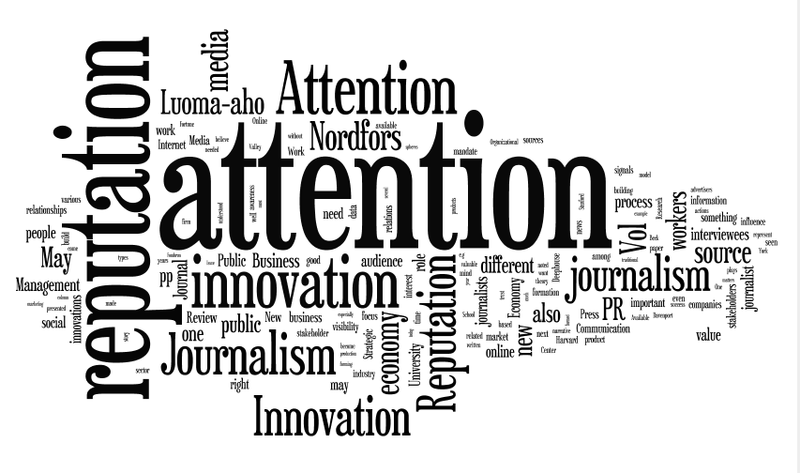 Dependence on gaining measurable consumer attention can be expected to induce journalists in all media platforms to adjust content to maximize consumer attention and advertising dollars. New business models will be needed to reduce the intrinsic risk to journalistic freedom that the new methods will induce. 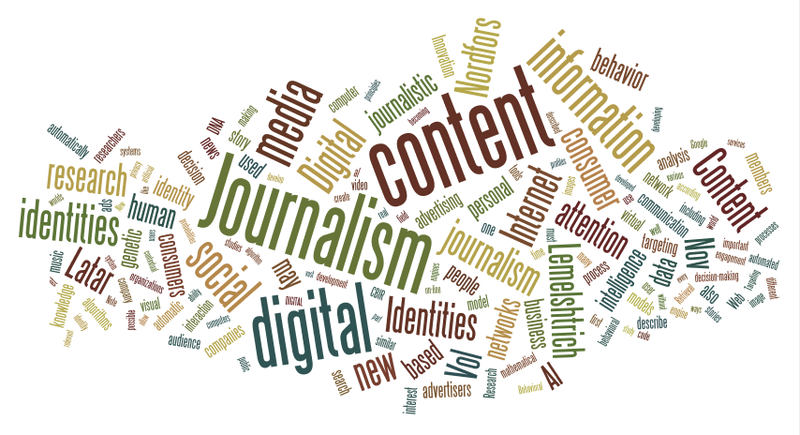 In this paper we shall describe the global efforts in devising universal standards for the management of digital identities and how artificial intelligence will be used to automatically annotate journalistic content. We shall describe the new concepts being used to increase consumer real attention to media content and describe the architecture of an AI engine that will target content according to consumer personalities. The consequences of these developments will be discussed. 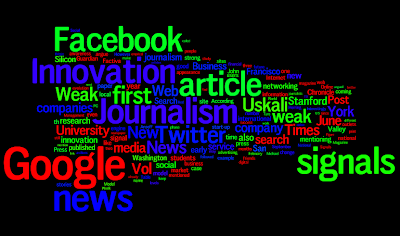 This article illuminates the news flows of three Silicon Valley companies – Google, Facebook and Twitter - particularly during the start-up ‘early’ phase. The article presents The News Evolution Model for better understanding the evolution of innovation news. 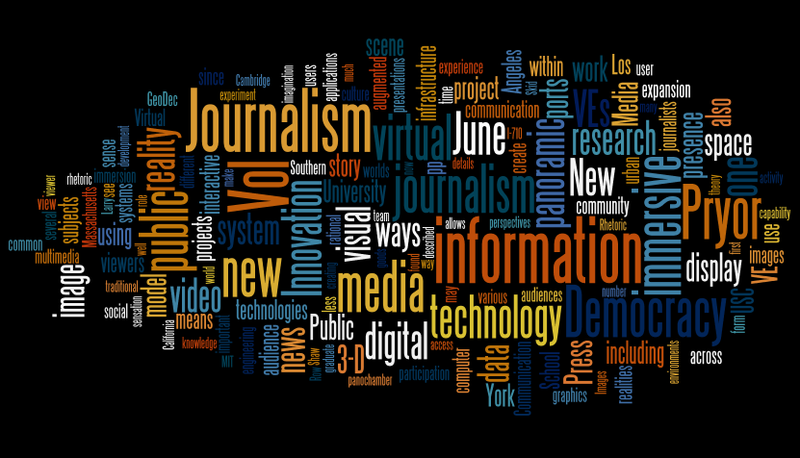 Virtual Environments (VEs) open new possibilities for journalism. 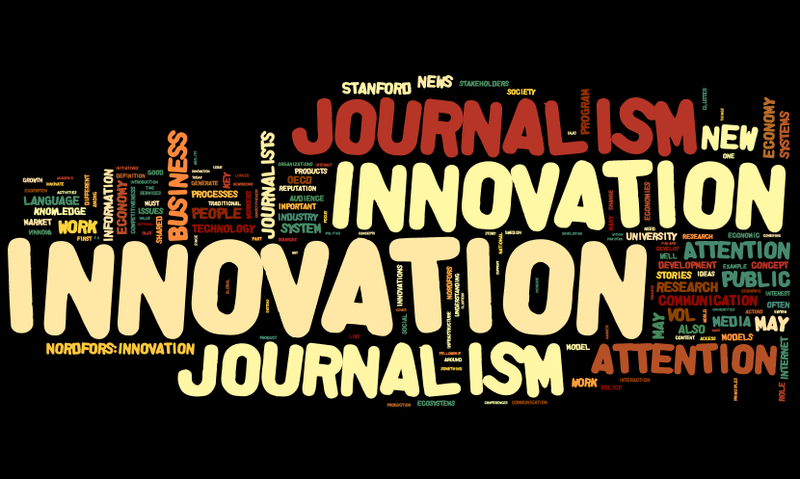 The advanced technology, which still resides mostly in laboratories, only requires adaptation and the imagination that can enable journalists to think with technology. The literature of VE theory shows the possibility exists to create alternative worlds that invite the public to share knowledge necessary for rational policy decisions. Our research has looked at using head-mounted displays to tell news stories, and we have worked with a multi-user 360° panoramic display. A project is now under way to use immersive techniques to model port expansions in Southern California. We will also seek to find ways to distribute this visual information across individual, community and institutional audiences. 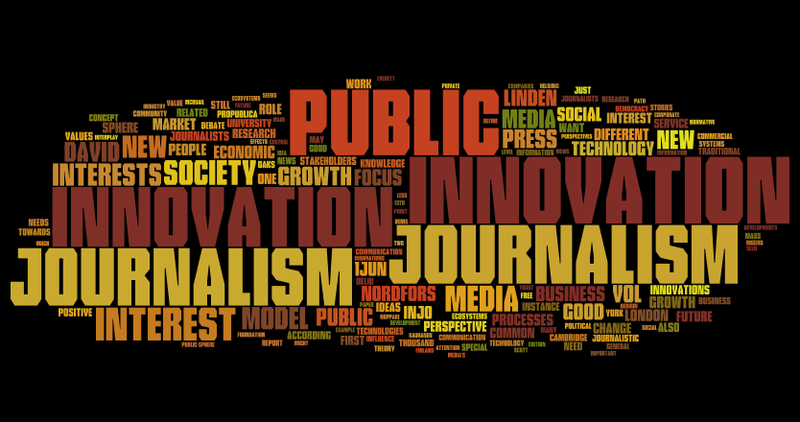 Innovation Journalism Vol.6 No.3, 1 June 2009. 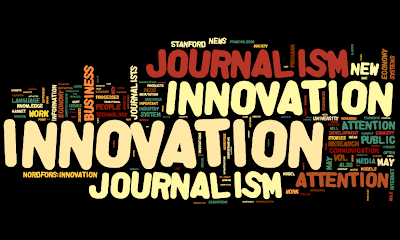 Innovation Journalism (InJo) has been promoted as a new type of media work that can be of value to stakeholders in the innovation eco-system, which means that it is mainly catering to particular interests. 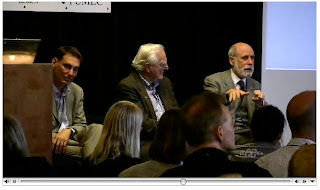 In some parts it resembles the “public sphere model” of Habermas. It is also presented as a business model in itself with strong links to the dominating “market model” of the media. This is limiting the scope of potential influence. Economic growth through innovations in social and physical technology is of interest to the society as a whole. This paper deals with the issue of how public interest in a larger perspective can be related to InJo. For this purpose possible stakeholders are mapped and discussed. The suggestion is that InJo can be framed as journalism dealing with long waves and the most important sources of economic growth and societal renewal.